S I G N & D I G I T A L G R A P H I C S • May 2018 • 69 SDG A common and profitable item, often ordered in quantity, are tags with fields that are stamped into by the client as per their requirements in the field. 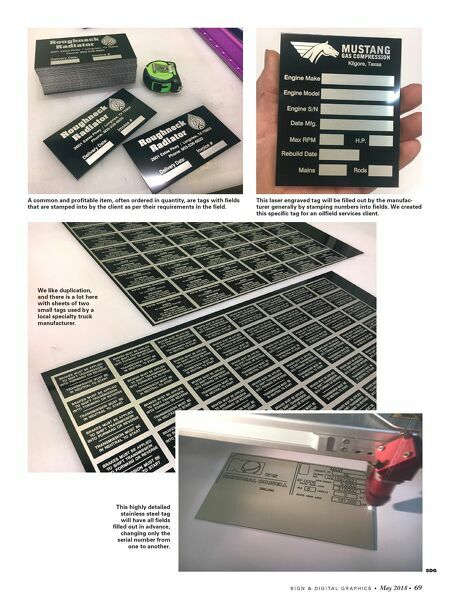 This laser engraved tag will be filled out by the manufac- turer generally by stamping numbers into fields. We created this specific tag for an oilfield services client. We like duplication, and there is a lot here with sheets of two small tags used by a local specialty truck manufacturer. 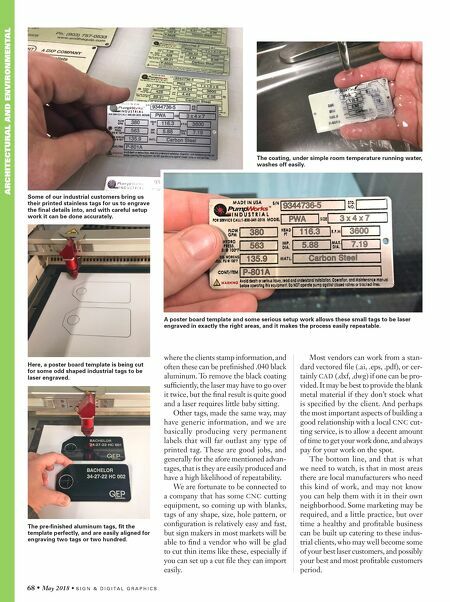 This highly detailed stainless steel tag will have all fields filled out in advance, changing only the serial number from one to another.